Anyone who knows me well enough, knows I have a favourite movie… and it’s got some poor beggar scrabbling about in the air ducts.. 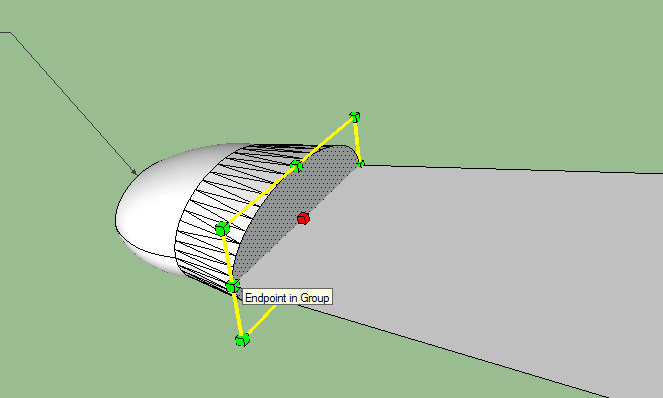 Drag the nose section to the silhouette, ensuring it is in the correct place. PLEASE NOTE: Normally I would draw the model in one half. But for now I am not. 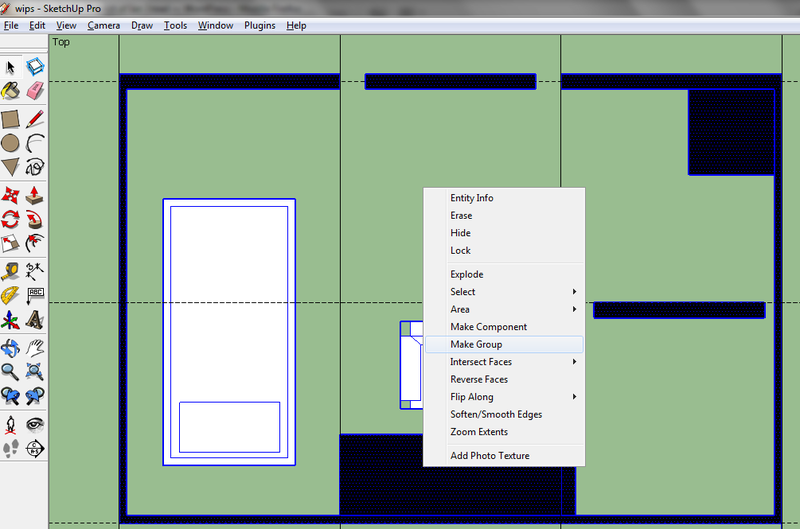 Next hit CTRL then Push/Pull inline with the silhouette. Sometimes I’ll put some sort of guide in so I know where to stop. Hitting CTRL when you push/pull ensures there a new line on the model, you don’t have to do this. Next use the scale tool and hold CTRL so it is uniform. You could add some height, but this will do for the Clarke. Next do it again, CTRL Pull/Push then CTRL Scale. You will notice you can pretty much use the silhouette as a guide. Don’t worry about those horrible lines, they will be got rid off soon enough. I’m doing the wings seperate so no need to think about them. Fill out mose of the body, the rear engine section can wait too. Moving along, you can get rid of those line, some you could keep, manually you can smooth those lines with the rubber sorry ‘eraser’ tool holding CTRL. 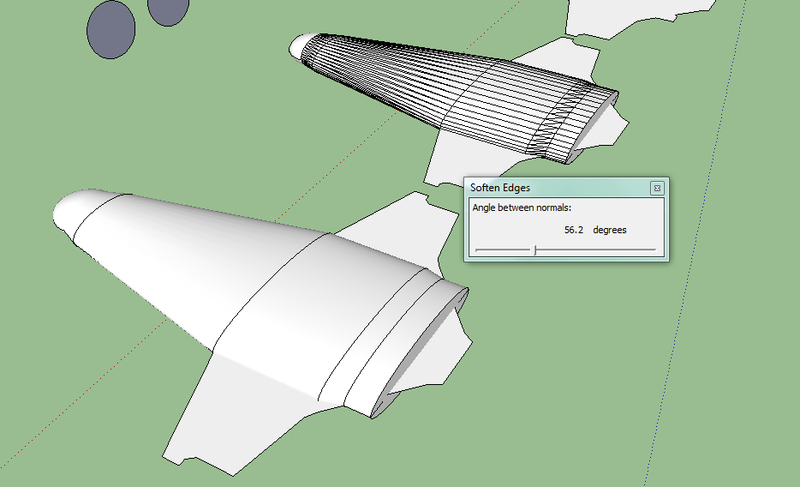 Or select the whole model, right click and soften/smooth edges, the slider will increase or decrease the smoothing. 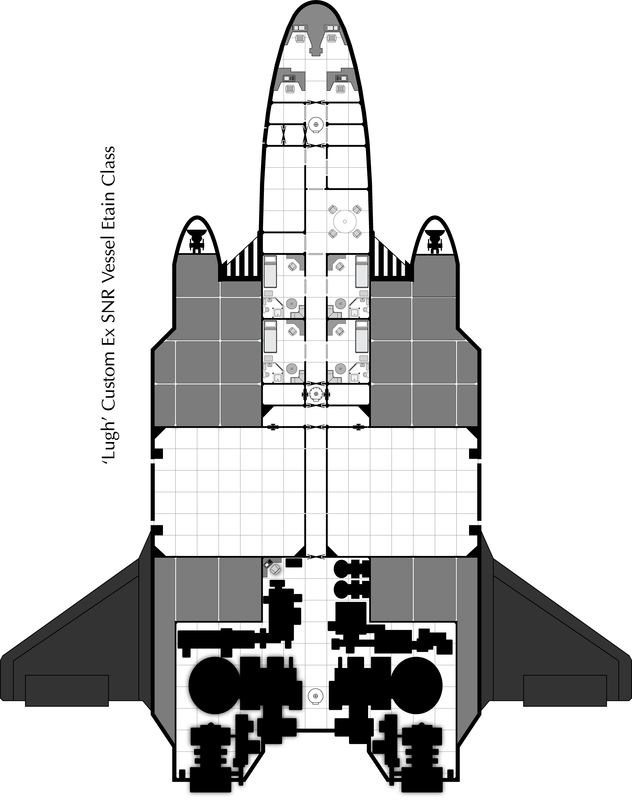 I’ve been asked, how to make a 3D model from a plan. One way I do it is to create a cross section, them push/pull and scale. The method below I am starting with a ‘lathed’ section of the nose. As you may know I build my maps in Sketchup then tweak them in AI. Below is the map of the Clarke and a silhouette of the deck. I use the silhouette to help build the model. Don’t really need the guides (those are 1.5m squares) so hide them for now. Next, I figure the nose is a good section to start with, so I want to ‘lathe’ it from the white silhouette. Then from that I can scale and loft it. 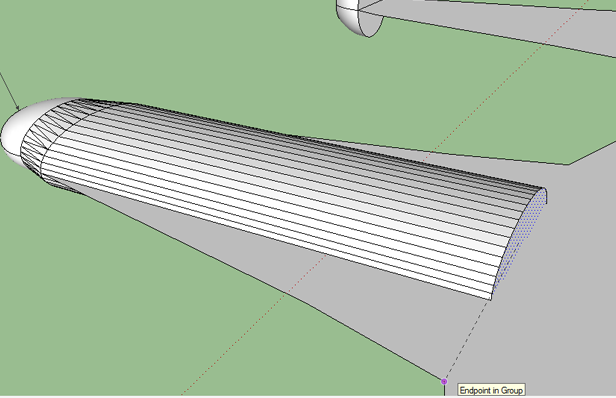 I’ve chopped of the nose section then draw a circle in front of it and 90 degress to it, this is the path of the lathing. Use the follow me tool to do it. Also to get the circle in the correct place, draw a line from the centre of the nose section out and them put the circle there. It is worth changing the segments of the circle to 40 so it is smooth. Right click the circle edge, select entitiy info, change segments to something like say 44 or 30. HMS Black Swan WIP Part 3 – Make Room! Make Room! Thought I make this part about making staterooms, that way I cover a few techniques I use when making my deckplans. 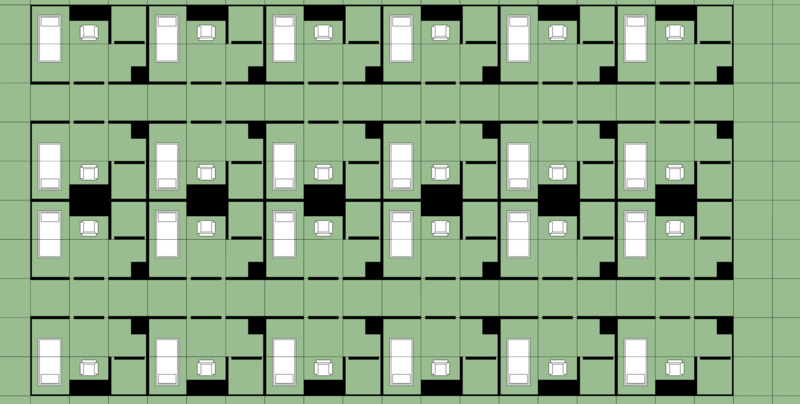 The basic Traveller stateroom is a 2×3 rectangle, each stateroom is 4 tons or 8 squares, the missing 1 ton (2 squares) is used for things like common rooms etc. You could make the rooms any size or shape, even combining rooms to make larger staterooms, just for this I’ll stick to the usual 2×3 one. 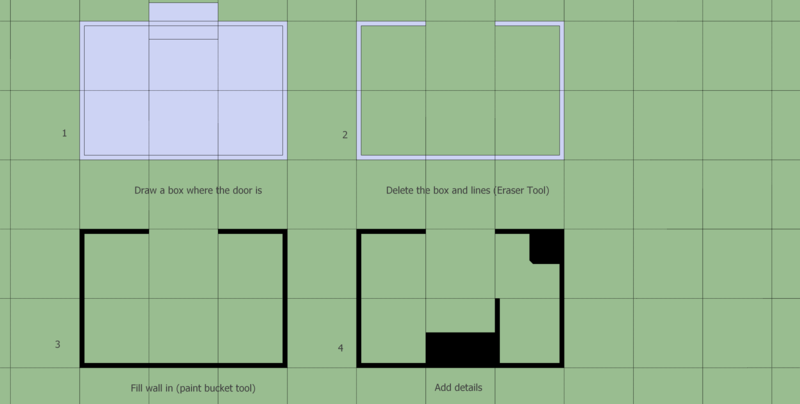 As I’ve said the walls are 1.0m thick, I use the offset tool and tap in 1 into the box in the lower right to get the correct size, or you can add a new guideline with the tape measure tool. 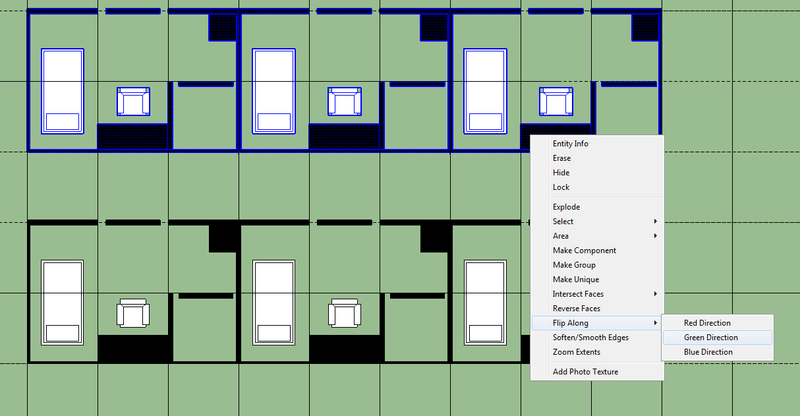 As you can see I’ve shown that I draw the walls over or within the grid. Bit tricky to explain, but I usually use the one on the far right and erase the parts of the wall that will over lap with ajoining rooms. Of course they maybe no room and just a corridor. 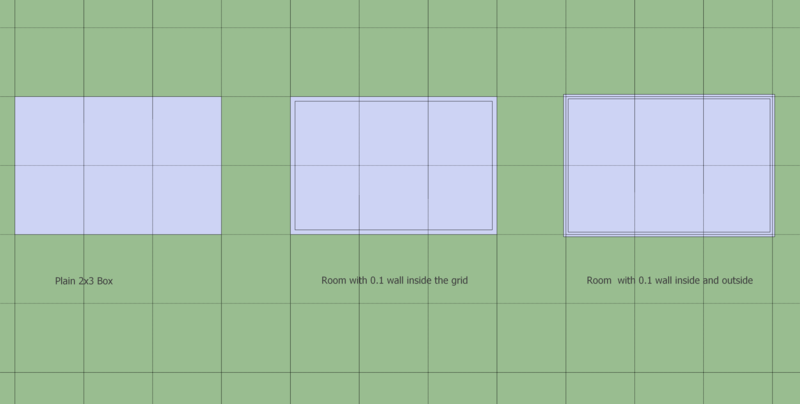 Ultimately you have to look at where the rooms are in the ship, so you know which wall to make smaller ie make some wall 1.0m and some 0.05 (so when the ajoining room is next to it it makes a 1.0m wall) I hope that makes some sense… just do it and see what I mean! This this part shows the first version of the stateroom, if you put the room next to another rooms is makes a 2.0 m thich wall, not saying you don’t have to do that. Where I have cut the door, is just my choice here, It can be any where, in fact if you angle one corner you can put a door too. Hey presto! More rooms that you could possibly shake a stick at! I hope this makes sense…well I’m off for a nice bowl of soylent green…. Thought I’d mention some things that I do with my plans, but these are just my choices and not necessarily what you should do. As far as I am concerned, do anything as long as it looks ok and fits.. 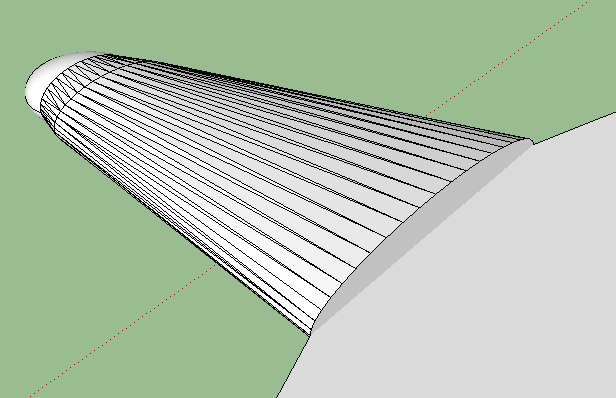 Walls: Internal and external bulkheads, I draw the internal bulkheads at 0.1m and the external ones at 0.2m, though for some internals I build them thicker at 0.2m. Thick armour and armoured bulkheads you can build thicker too. Admittedly most plans don’t see to show armour, I do sometimes and it makes good filler. 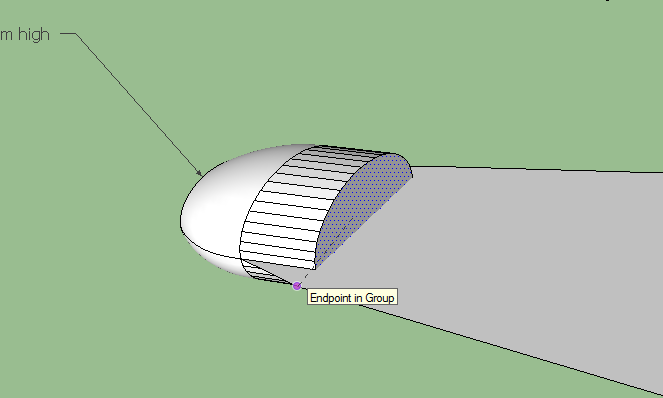 I’ve started making my outer sections thicker so I don’t spend ages trying to fit the inner bits to the shape of the hull. 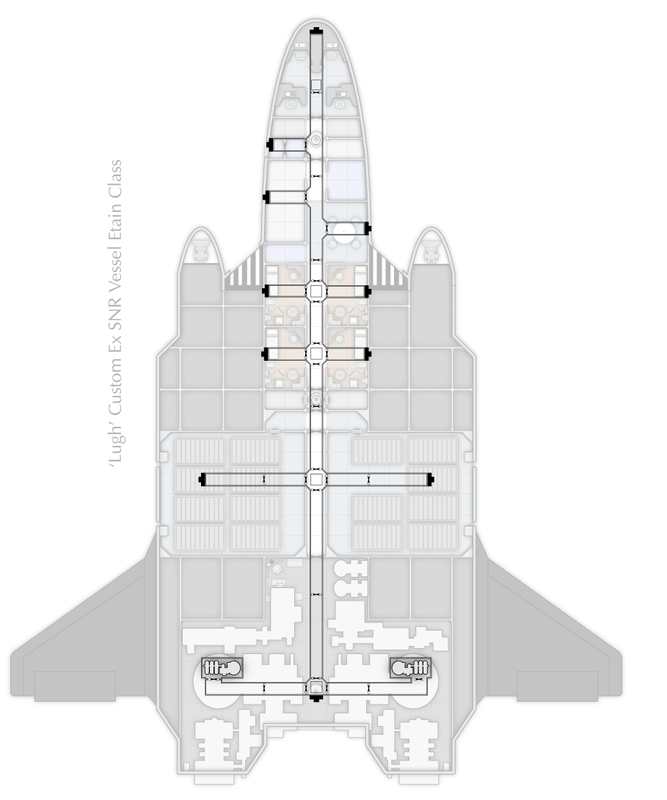 Components not in the plans: I think it was the old High Guard book that had a great list of things a deck plan should have but not necessarily listed in the tonnage, its assumed that these things come from the tonnage taken by the staterooms. I’d add to this the bridge too makes up these extra rooms and things. 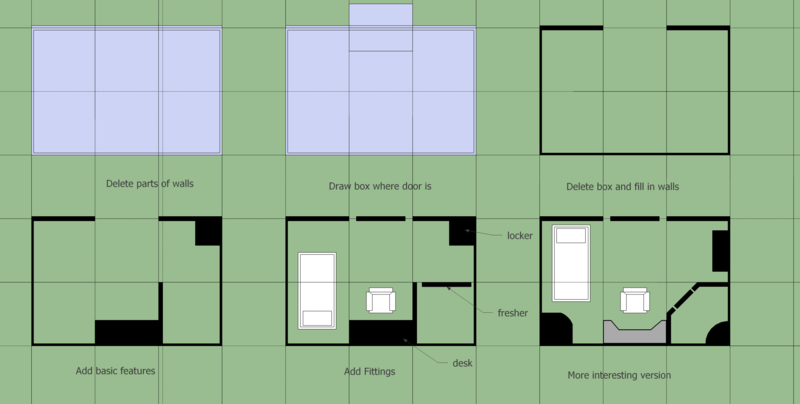 For example: common rooms, pantry, storages, EVA rooms, brigs, med bays etc. If the plans do note these, then even better ! 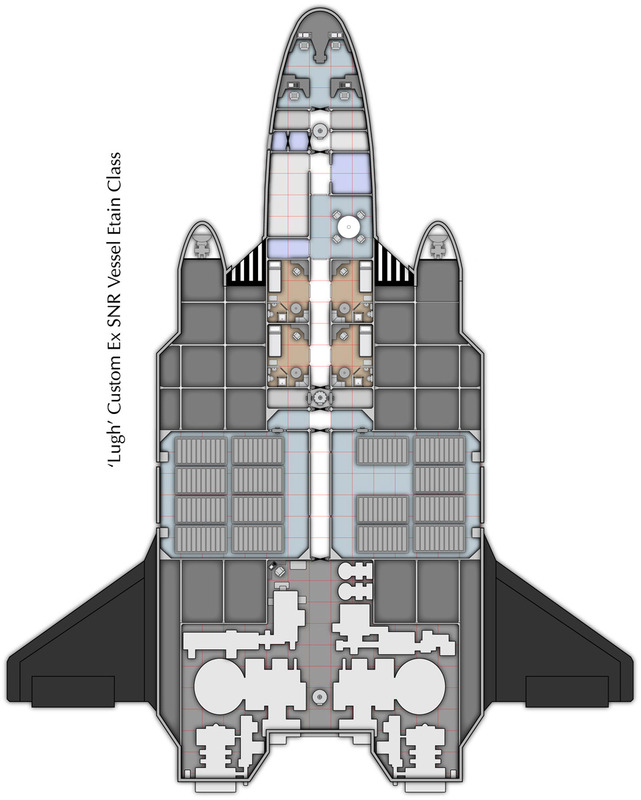 I’ve assume that a med bay taken from stateroom tonnage is basic, where as one that is listed in the plans is more superior… Of course you can build rooms from the engine tonnage too, like workshops. All looks good and adds a nice touch. 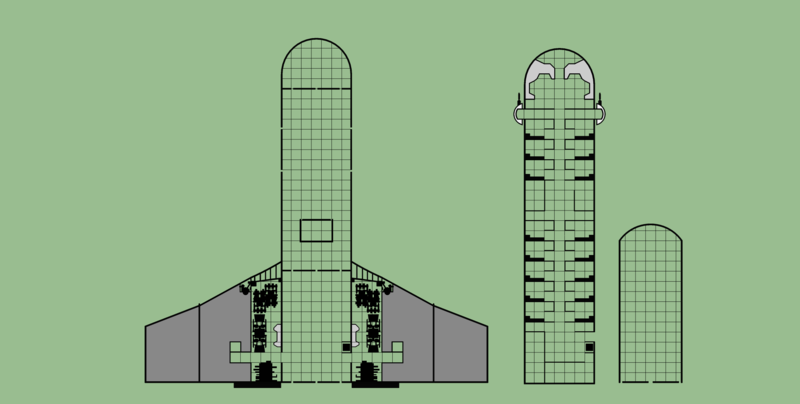 I assume the avionic section and office/wardroom come from the bridge tonnage too. One ship I built had a seperate CIC (Command Information Centre) too. Bare in mind I’m thinking how it’ll look in 3D too. 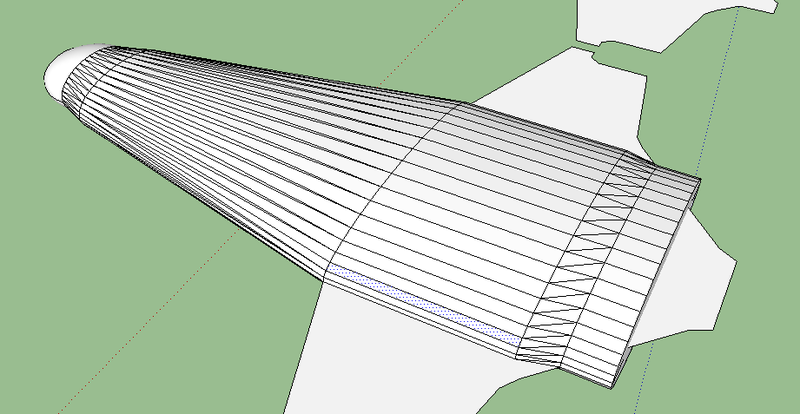 Not everyone will do this so, it’s worth a rough sketch of the hull, showing roughly where what goes.. 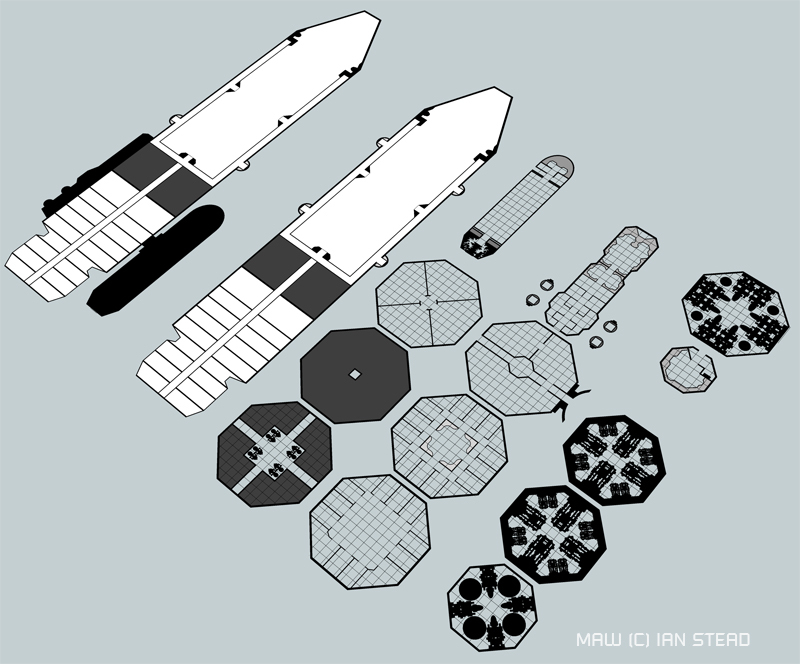 I have used graph paper in the past too, especially if the ship is an awkward design.